Home World News Catfish That Falls From Sky, Hits Lisa Lobree - Woman. Catfish That Falls From Sky, Hits Lisa Lobree - Woman. Falling catfish weren't generally considered to be one of the hazards of life in Philadelphia — until now. 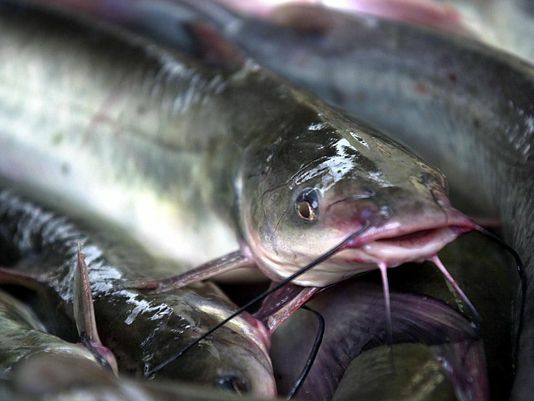 Lisa Lobree tells the Philadelphia Inquirer that she was walking near the city's art museum on the morning of Labor Day when she heard a "rustling" in the trees above her, and was suddenly slammed in the face with what turned out to be a 5-pound catfish. Witnesses saw a bird, possibly a hawk or eagle, flying away. The bird had apparently dropped the foot-long fish, which fell more than 50 feet through tree branches before hitting Lobree, who was left with a cut on the face. “I think it might have been head, face, and neck because I smelled so bad afterwards. I smelled disgusting,” Lobree tells CBS Philly. She adds that she can see the humor in it now, though it wasn't so funny at the time. "It could have been so much worse," she says. "What if it hit a child? It was a not a fun experience, but there are so many worse things that could've happened. It's probably one of the strangest things that have happened to me in my life." She says she did a lot of fishing growing up in Colorado and still loves to fish — but this is the first catfish she's ever caught. (This unfortunate tourist in Brazil had to undergo a catfishectomy. ).